Tracy has been practicing Real Estate full time since 1988, dedicating nearly 30 years to her passion. Her love of people and helping them achieve their goal of homeownership has always been her priority. Throughout the years Tracy has educated herself in order to further serve her clients in achieving their goal, evidenced by earning several designations including LMC, CBR, SRES ABR, GBB, CRS, GRI. During Tracy’s tenure in the real estate business she has been an owner of a small real estate boutique as well as a national real estate franchise. Tracy realized that to better serve her clients, she needed to be part of a larger company whose focus was education, agent-centricity and a culture of support for her peers and the community. This decision lead her to Keller Williams Realty-Metropolitan. Once at Keller Williams she established her dream team, The Murphy Roche Team. Tracy was blessed to have married the love of her life, Tom Roche, who has recently become her business partner. They have two beautiful children, Delaney, who is finishing her junior year at Clemson University and Tyler. Tyler and his wife Lilia are entrepreneurs living in Naples, Florida with Tom and Tracy’s grand pups, Rupert and Coco. Tracy loves to read, cook, and spend time with her husband, her children and their dogs Jack and Foxy. Tracy’s love for animals naturally led her to support the Animal Rescue League of New Hampshire as well as other small pet shelters. 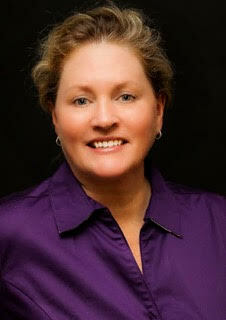 Tracy is licensed in the State of Hampshire as well as in the Commonwealth of Massachusetts.